Master the chords used in jazz. 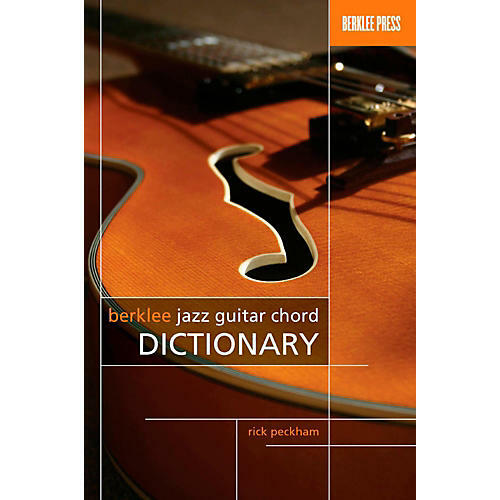 This chord dictionary includes over a hundred jazz chord forms, from basic 7th chords with all standard tension substitutions and alterations to guide tone chords to triads over bass notes. It is organized to reveal relationships between different types of chords and help you learn the voicings quickly and thoroughly, in a way that is easy to remember. You will improve your comping and soloing, develop your fingerboard facility, and add more colors to your harmonic palette. Rick Peckham is Assistant Chair of the Guitar Department at Berklee College of Music. He has mentored thousands of guitarists and is author/instructor of the Berkleemusic online course Guitar Chords 101 and the Berklee Press DVD Modal Voicing Techniques.